Indoor Air Quality | Wm. Masters, Inc.
As homeowners, we spend more than 10 hours a day in our homes: sleeping, eating, and watching TV with our family. Inside, we are all breathing the same air which circulates through a ventilation system. The air we breath is a vital part of our life, which is why at Wm. 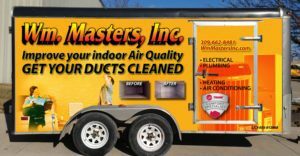 Masters, we take Indoor air quality so seriously. There isn’t a sole solution for air quality, but there are many safety measures you can take to improve the air you and your family breathe, including humidification systems, air filters, and duct cleaning. Your home is like a body; it needs to stay properly hydrated to maintain the health to comfort the important people living inside it. If there is too much moisture in an area, there are risks of mold and other damage. The right system ensures your home and family are getting the right amount of moisture. 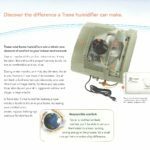 A quick and easy replacement that can make a significant improvement in the indoor air quality of the air you’re breathing is the changing of the air filter in heating and air conditioning systems. These machines are pulling pollutants from the air through these filters, which is why it’s important to replace within the recommended time period (every 1-6 months). This change can help reduce the amount of allergens and pollutants circulating within your home. 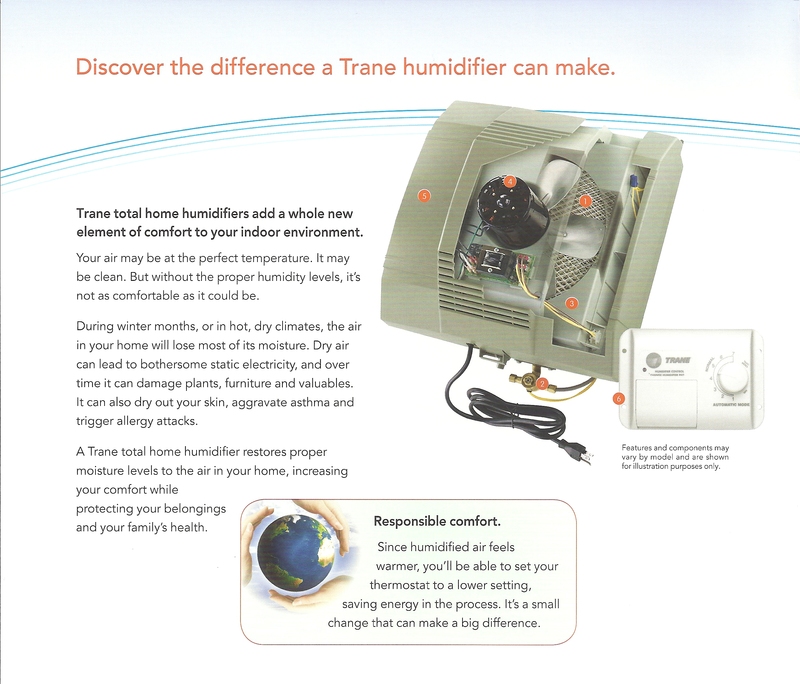 The Trane CleanEffects™ Air Cleaner supplies your home with cleaner, more breathable air, making your home a healthier environment to live in.This air cleaner removes up to 99.98% of airborne particles, so you no longer have to worry about breathing in harmful bacteria and allergens. When was the last time you had your ducts cleaned? Don’t worry if the answer is never; we’re here to help. Is the air you’re breathing clean and safe? Call us to get advice from our professional technicians to improve the quality of air in your home or business today.